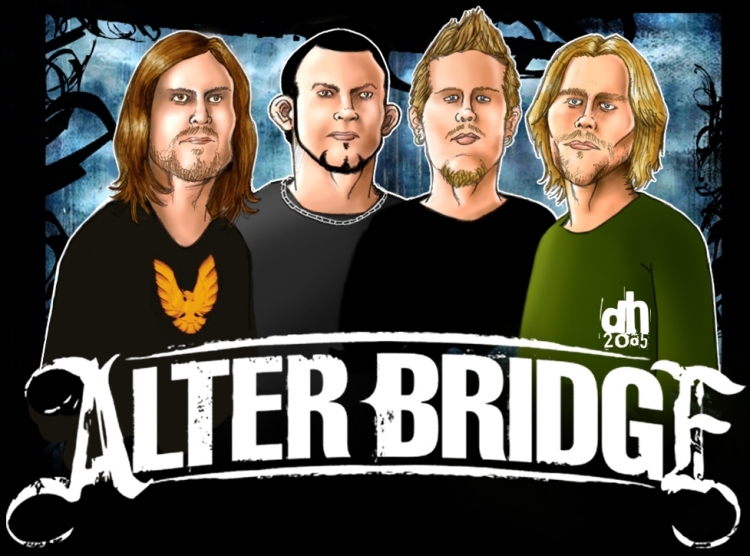 My name is Enda Healy and I am an Irish fan of the band Alter Bridge. My plan is to try and gather as many signatures as possible of genuine Irish Alter Bridge fans and then forward the petition results to Alter Bridge HQ and to associates of AB. Alter Bridge is an American rock band formed in 2004. The band consists of lead vocalist and guitarist Myles Kennedy, lead guitarist and backing vocalist Mark Tremonti, bassist Brian Marshall, and drummer Scott Phillips. To date Alter Bridge have released 4 studio albums One Day Remains (2004), Blackbird (2007), AB III (2010), Fortress (2013). On the strength of these 4 studio albums, Alter Bridge have toured extensively across the world and naturally have gathered a considerable global fan base as a result. But to date, they have never played a show on the island of Ireland, and that is something I am going to try and correct. If you are Irish and consider yourself to be an Alter Bridge fan, and you would be willing to pay to see this great band play a show or two in Ireland in the not too distant future. Please sign this Petition and let's see what happens. The Let's get Alter Bridge to play a show in Ireland petition to info@alterbridge.com was written by Enda Healy and is in the category Music at GoPetition.